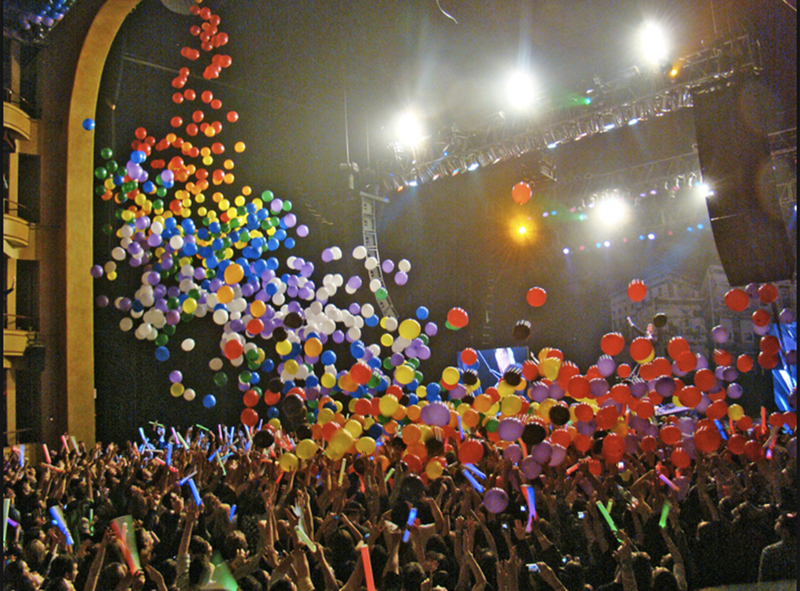 For New Year’s Eve in New York City, Brooklyn-based duo Matt and Kim put on an exuberant performance at the Hammerstein Ballroom. Their concerts are always full of energy and excitement and this one was no exception. “At our shows, we’re very focused on the audience and bringing them into the experience… Sometimes listeners are amazed that two people can bring so much energy to the stage. But it’s not just the energy of two people. 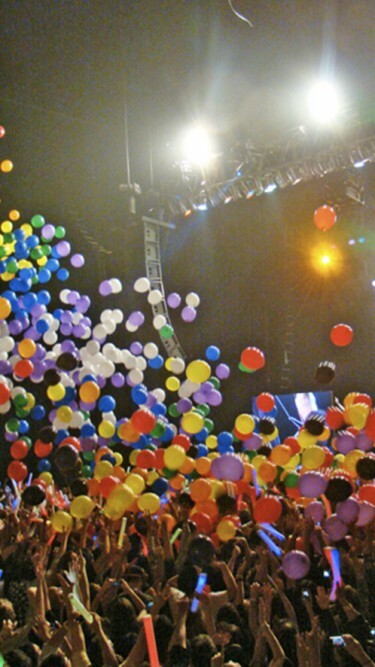 It’s four thousand and two people,” says Matt Johnson, singer and keyboardist of Matt and Kim. Creating the full experience was of utmost importance. Adam Aleksander helped create the awe-inspiring feeling that Matt and Kim bring to the stage. Adam Aleksander created an explosion of color and excitement with confetti that was blasted from six giant confetti cannons and forty handheld confetti cannons and rows of thousands of multi-colored balloons that were dropped at the stroke of midnight. This New Year’s Eve celebration is one that won’t soon be forgotten.